Florian and Lara, originally uploaded by mathowie. Lessig noted this last month, but there were two friends of Creative Commons at the Oscars tonight and I’m happy to see they both won (best documentary, best foreign film). 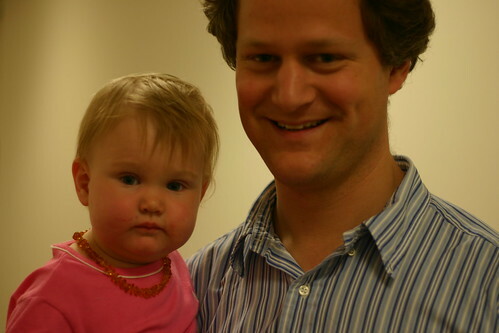 Above is a shot of Florian Henckel von Donnersmarck and his daughter that I took when they visited the Creative Commons offices in 2004. It was nice to see Christiane again, sitting next to him in the crowd.